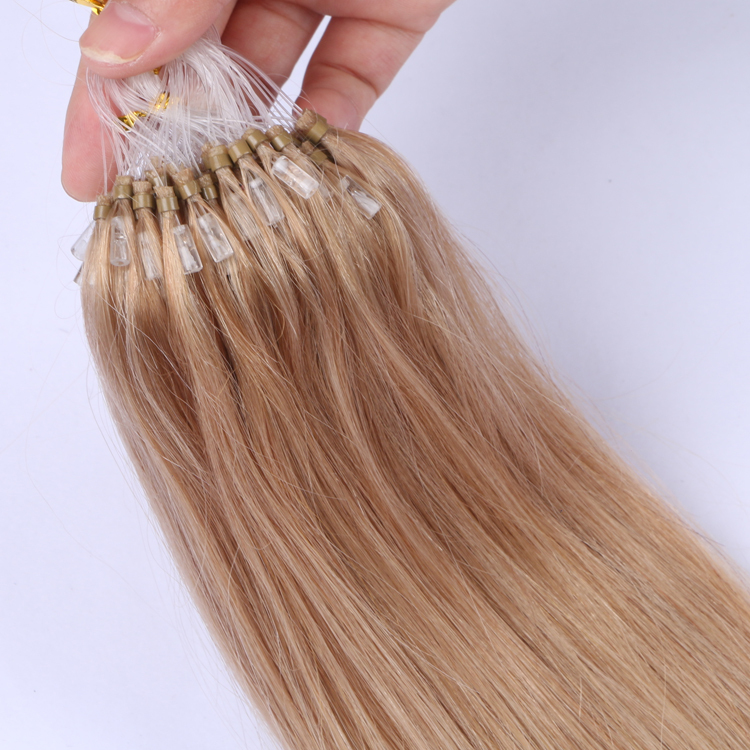 Where to source best Brazilian virgin human hair micro ring loop hair extensions in China? 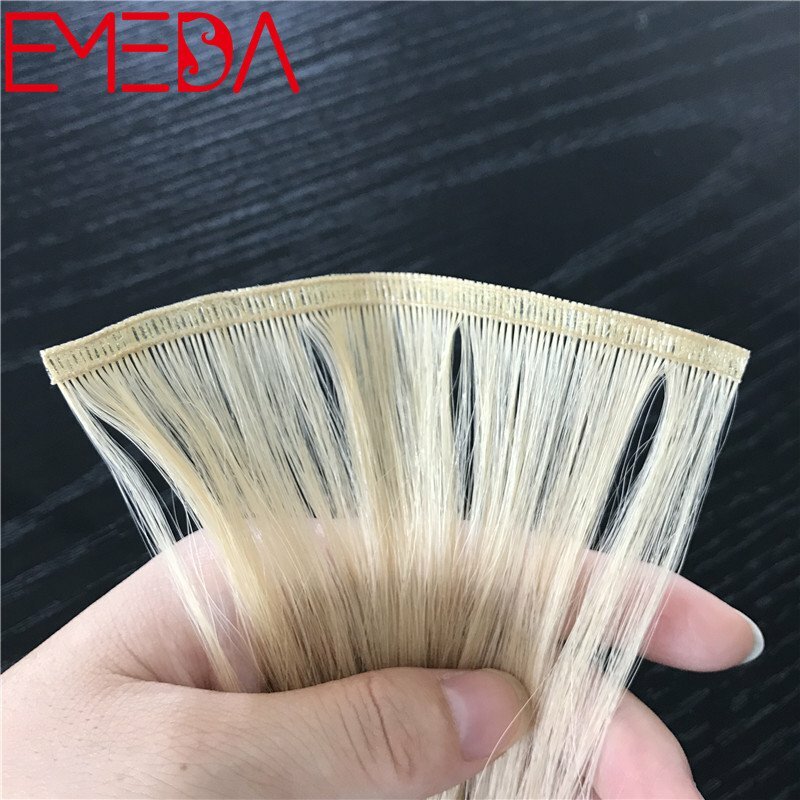 0.5 gram per strand, We supply Russian European human hair, the most popular ombre, balayage, piano, mixed cold tone ash blone hair shade. 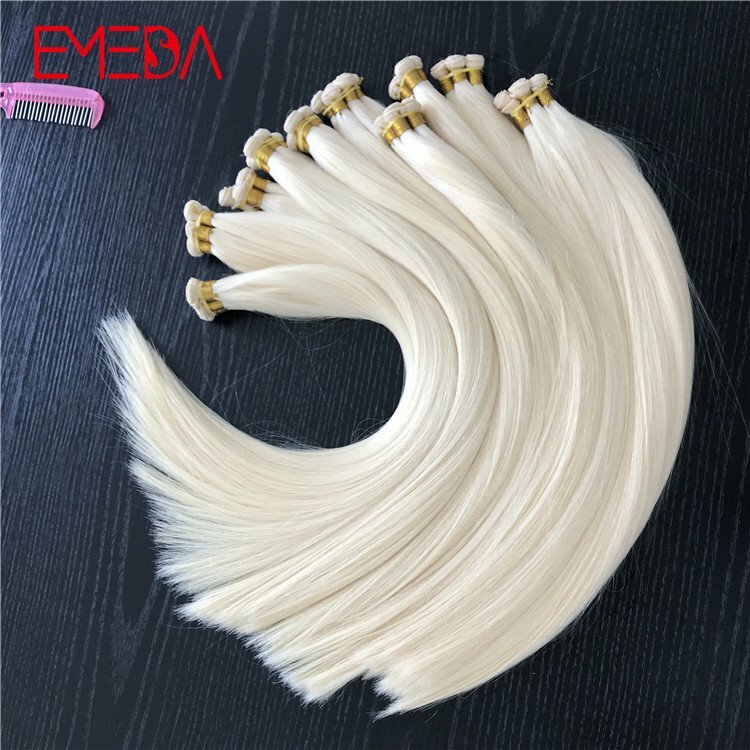 Double drawn same thickness from root to tip. 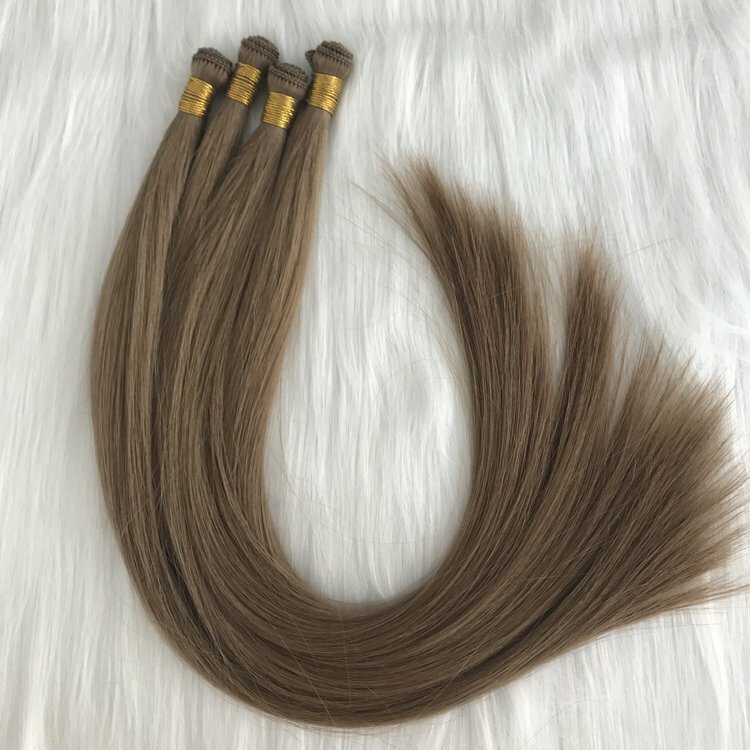 Well chosen 100% remy human hair over 6 month lifespan. 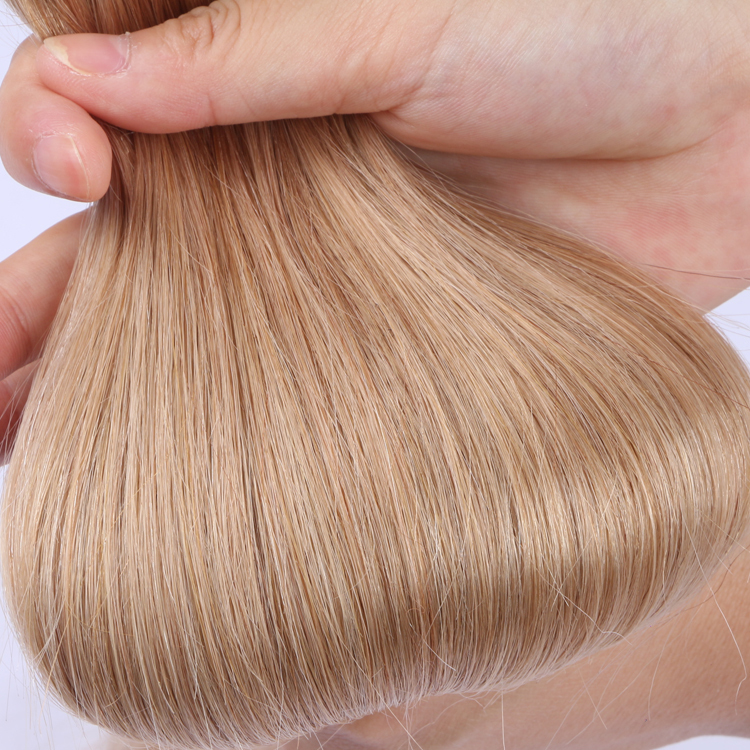 Processing--Gentle procedures followed with cold water by hand over six days ensure cuticle and hair quality is not compromised. 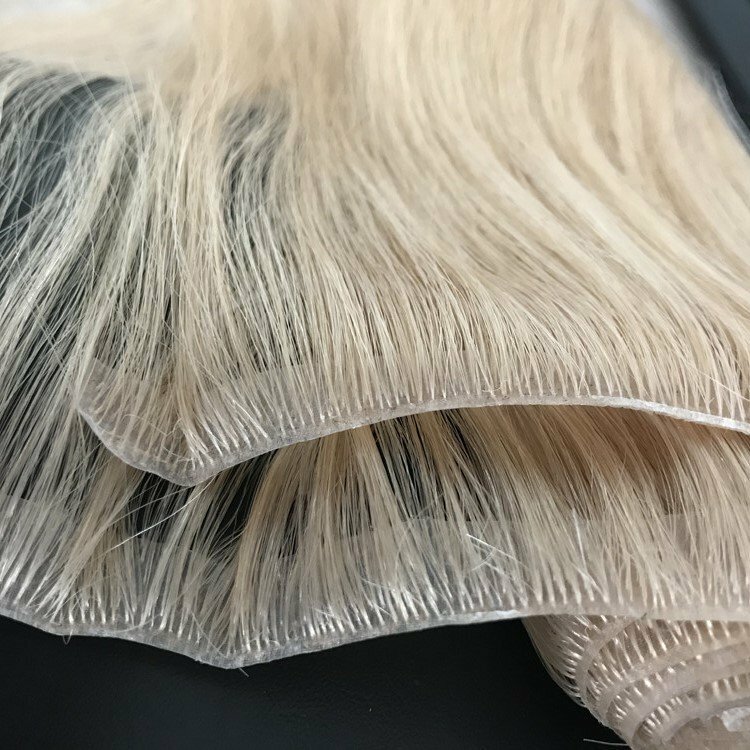 Colouring-- We use organic pigments to carefully colour and condition the hair when processing, ensuring long-lasting colour and multi-tonal effect. 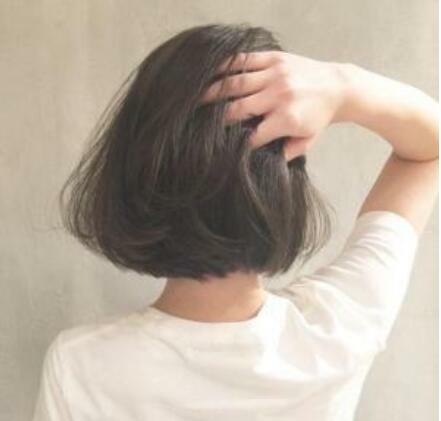 Life Span-- Our hair can be worn up to 2 years if the appropriate homecare procedures are followed. 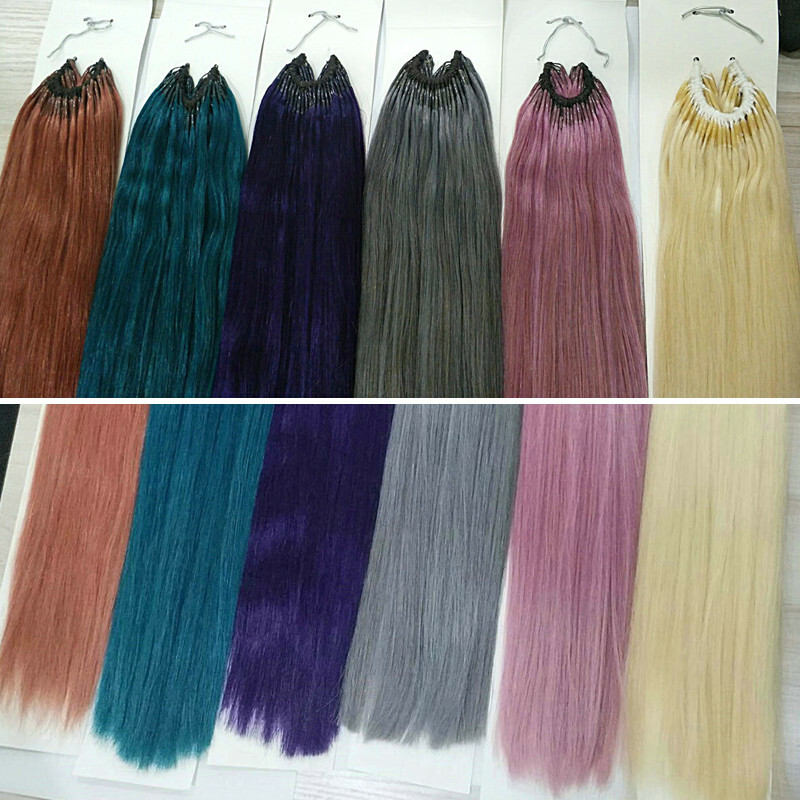 All length and colors available in our factory. 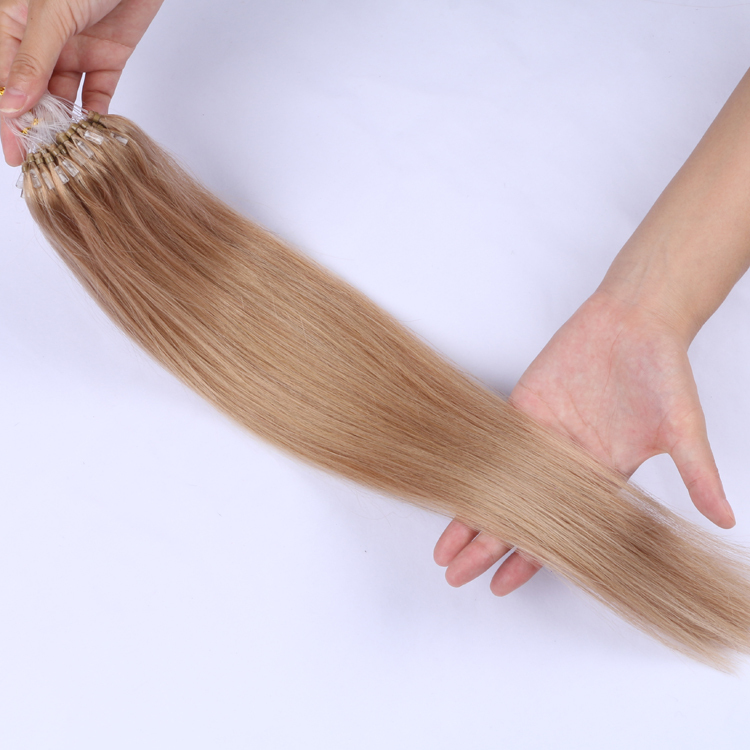 We produce 200kg hair each day. 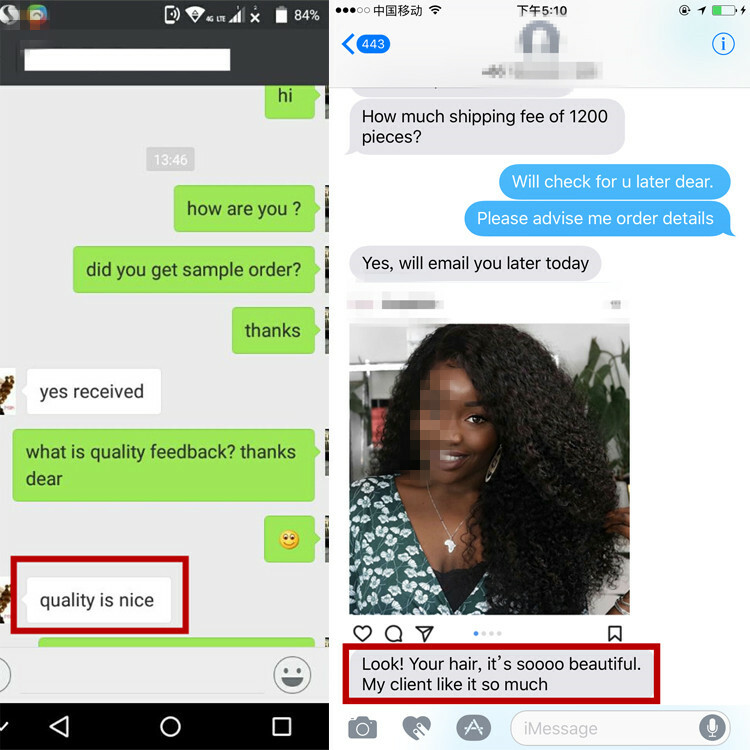 Assure fast and stable quality supply. 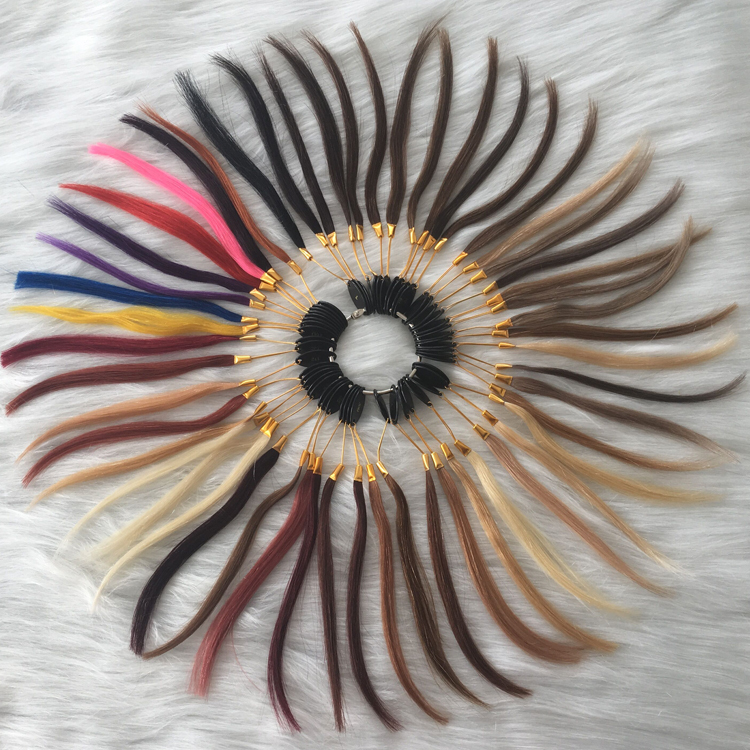 Variety of 52 popular colors are available. 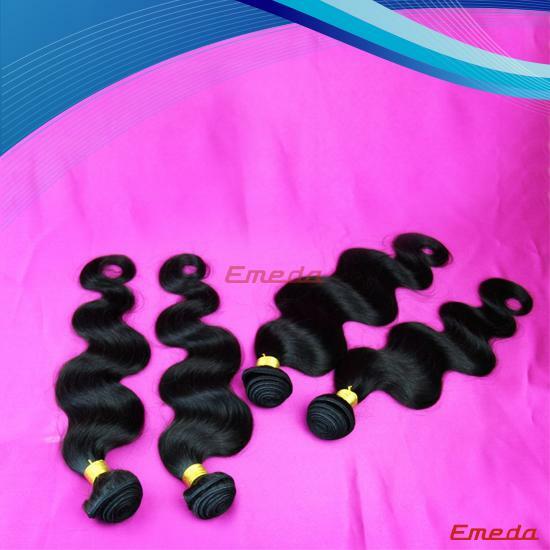 You are honored to choose form EMEDA color ring, or customized according to your color ring. 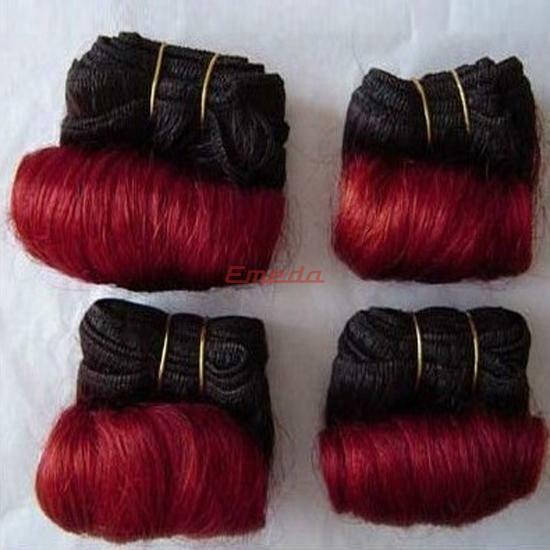 We adopt Germany imported dye material, no damage to hair structure, environmental friendly. 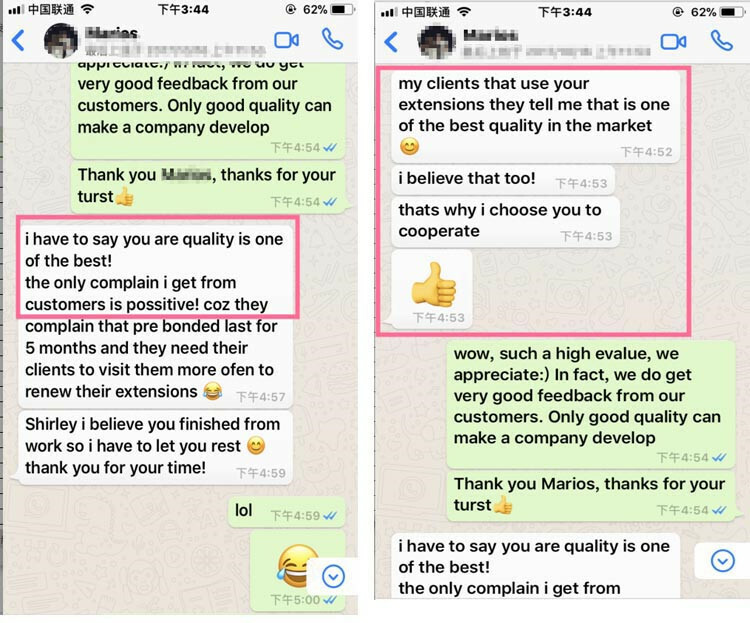 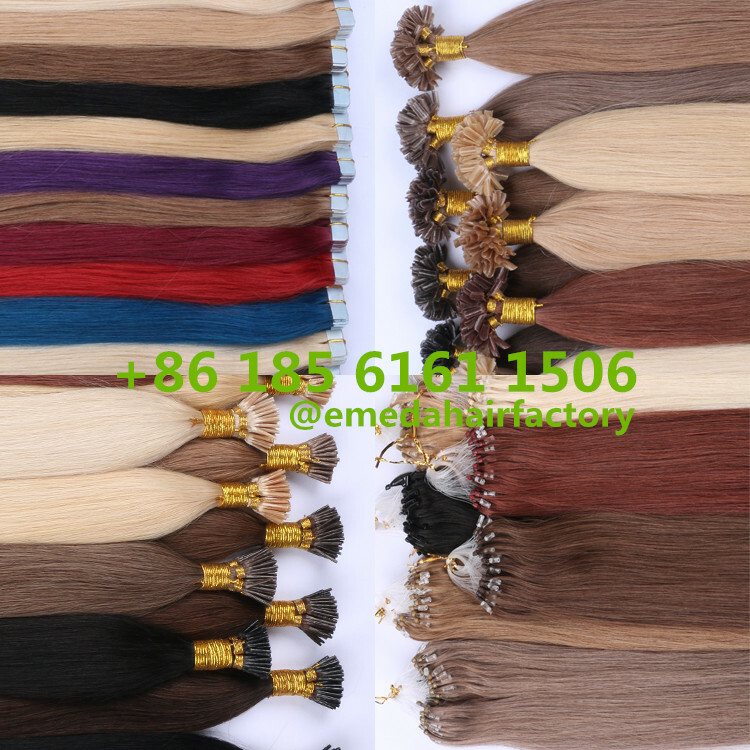 Experienced technician ensure same color with color ring, and no red/white bits, blonde color no orange tone. 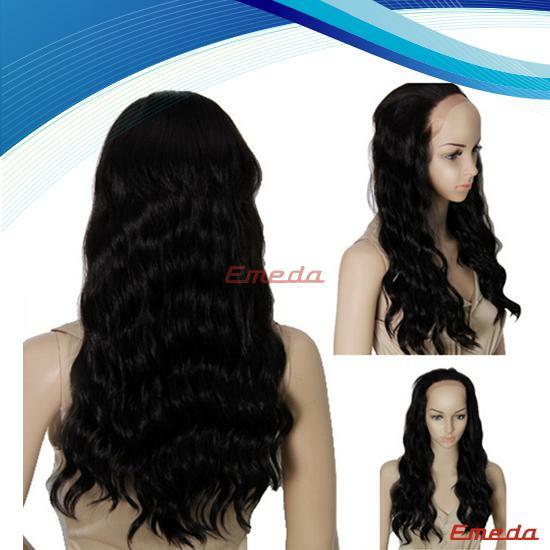 Qingdao EMEDA hair factory is one of the most professional China pre bonded hair extensions hair factory. 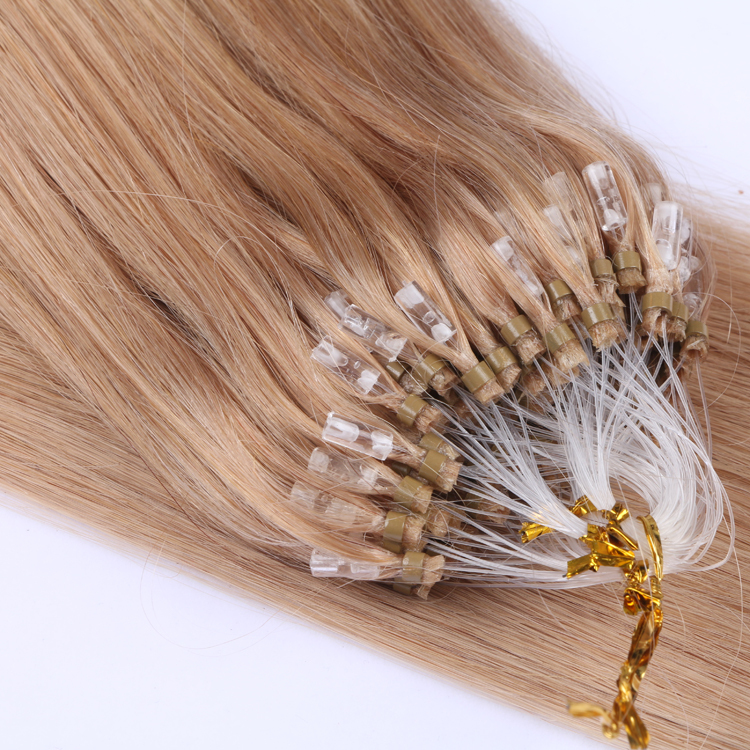 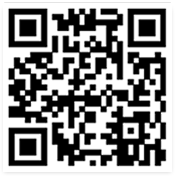 We supply keratin flap tip, mini I tip, U tip hair extensions. 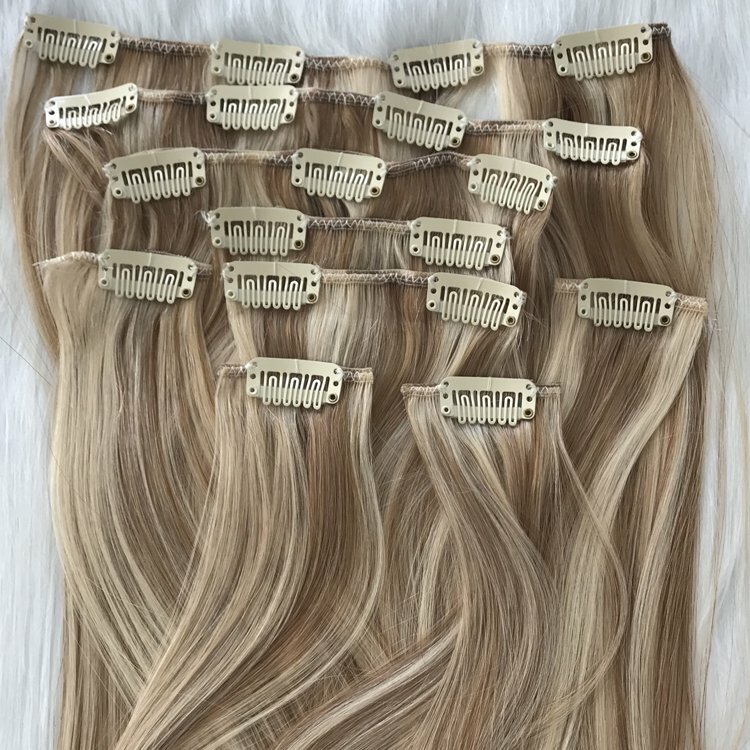 Consistent hair color ombre balayage and mixed. 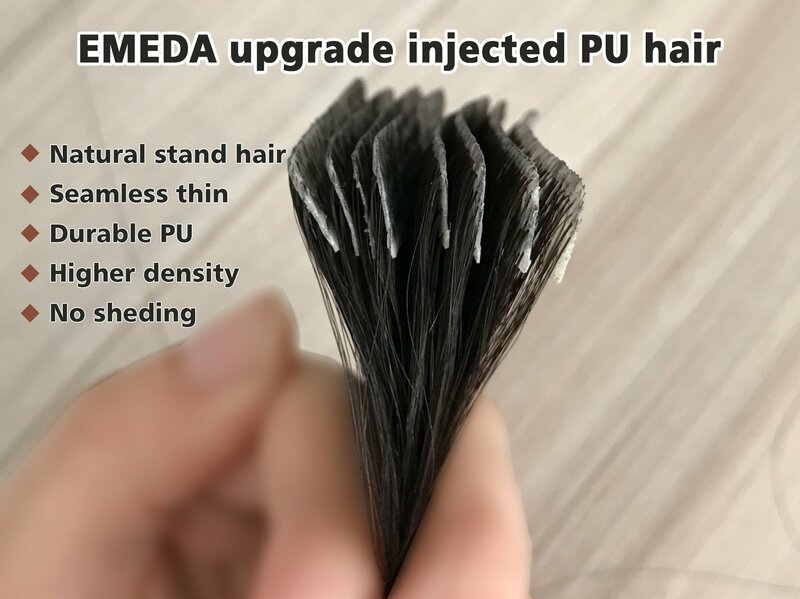 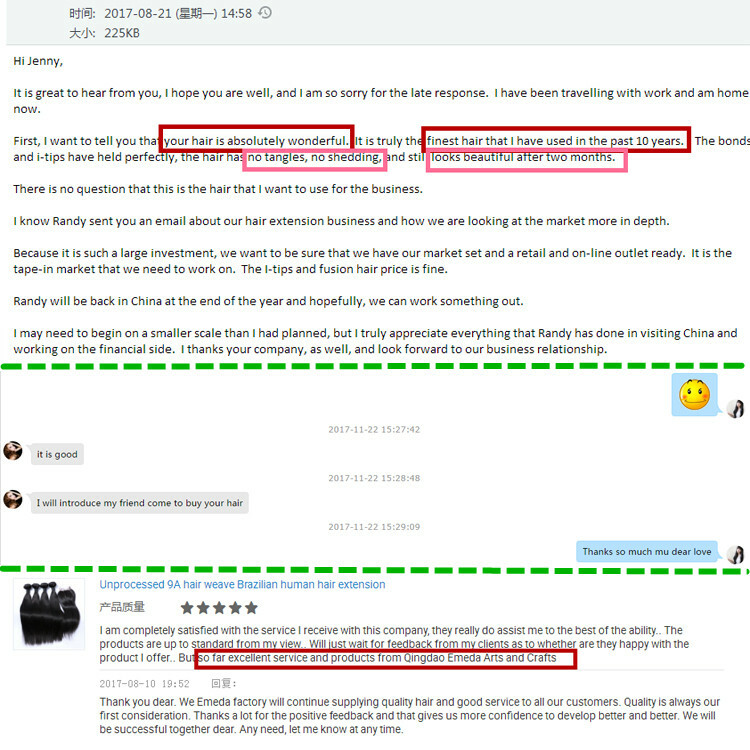 100% remy human hair hair life over 6 months.